Ballet Palm Beach Academy offers exceptional dance instruction for students of all ages, from beginner to professional levels. Students from three years of age to adult enjoy a comprehensive curriculum taught by our caring, professional faculty. The Academy offers classes for the student preparing for a professional career, as well as those young people who simply wish to enrich their lives through dance. All ballet classes are taught following the Ruth C. Petrinović syllabus (also known as RPM: Revolutionary Principles of Movement). The syllabus was designed to carefully develop dancers using principles of kinesiology and physics, and draws from the heritage of the Vaganova, Cecchetti and RAD schools. The faculty participates in ongoing teacher training, meeting regularly to discuss curriculum and teaching strategies. Advancement through the Lower, Middle and Upper Divisions is based on a student’s level of skill and accomplishment, not his or her age. The school’s faculty evaluates and places each student in the appropriate level. Students in Lower, Middle and Upper Divisions have the opportunity to perform in The Nutcracker and other Ballet Palm Beach performances. The year-end performances are presented by all Ballet Palm Beach Academy students to showcase our students’ talent and yearly progress. Children ages three through first grade will fall in love with ballet through our new Fairy Tale Ballet Program. Classes encourage creativity and stimulate the imagination while laying a solid foundation for classical ballet. 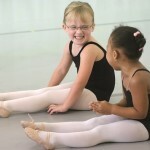 Classes range from Creative Movement 1 through Pre-Ballet 2 and meet once a week. Students in the Lower Division attend two to four classes weekly (dependent on level). Classes include Ballet 1, 2 or 3, musical theatre and modern. Students at this level are invited to audition for Ballet Palm Beach’s The Nutcracker. Students in the Middle Division attend six to eight classes weekly (dependent on level). Classes include Ballet 4 or 5, pre-pointe or pointe, musical theatre, and modern. Students at this level are invited to audition for Ballet Palm Beach’s The Nutcracker and other ballets. Students in the Upper Division attend nine to twelve classes weekly. Classes include Ballet 6 or 7, pointe, variations, partnering, musical theatre, and modern. Students at this level are encouraged to participate in Ballet Palm Beach’s The Nutcracker and other ballets as Student Ensemble members. At Ballet Palm Beach Academy, we celebrate the dancer in us all, and offer a variety of open dance classes for busy adults and teens. Please call or email to verify schedule. Adult Open Ballet class on Tues from 6:30pm- 7:45pm. Each class is $20, or get a 10-class card for $180 and a 20-class card for $320. For all ranges of ability and age- whether a beginner or a professional dancer! Wear whatever makes you feel comfortable and allows movement. Ballet shoes recommended. Pre-Teen to Teen Open Ballet class on Thurs from 6:30pm-7:30pm. Perfect for “late-starters” interested in pursuing dance or those who want to catch-up on refining their technique. Int./Adv. Tap class on Wed, 12:45 P.M. – 1:45 P.M and a Beg. Tap class, Wed, 1:50 P.M. – 2:50 P.M. Price per Tap class is $15 (Cks/Cash Only Please). Please call in advance to verify attendance. Schedules subject to change. 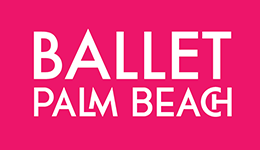 Please inquire at 561-630-8235 or school@balletpalmbeach.org. Many young dancers possess the talent and desire to become professionals, but lack the intensity of training required. 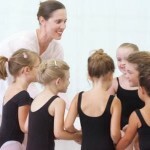 Daily classes offering the highest level of curriculum–as well as real-life rehearsal and stage experience alongside the professional dancers of Ballet Palm Beach–will guide the young dancer’s technique and artistry. A traineeship with Ballet Palm Beach will afford the aspiring professional a drastic acceleration in training.